Importing image data, texturing and custom shaders. Working with textures and using the Trade library for importing image data. Storing resources in the executable, so they don't have to be carried as separate files along the application. The basic skeleton of main example class is similar to the original, except for a custom shader and added GL::Texture2D. Let's start with the shader. It's practically a simplified version of textured Shaders::Flat2D, written for OpenGL 3.3 without bothering about backwards compatibility. The shader takes 2D vertex position and 2D texture coordinates. We declare both attributes as Vector2; assign vertex position to location zero and texture coordinates to location one. The locations can be chosen pretty arbitrarily, but location zero should be always occupied. It's also good to make attribute declarations compatible between shaders so you can use a mesh configured for one shader with another shader. Next to these two attributes it also needs a uniform for the base color and a texture binding. We will provide convenience public API for setting these two parameters. Good practice is to allow method chaining on them. We store GLSL sources as compiled-in resources because that's the most convenient way — by storing them in a string directly in the source we would lose syntax highlighting and line numbering in case the GLSL compiler fails with an error, whereas by storing them as separate files we would need to carry these along the executable. The resource data will be compiled into the binary using CMake later. You can read more about compiled-in resources in Corrade's resource management tutorial. In the constructor we load the GLSL sources from compiled-in resources, compile and attach them and link the program together. Note that we explicitly check for compilation and link status — it's better to exit the program immediately instead of leaving it in some unexpected state. We then retrieve location for the base color uniform. Then we set the texture layer uniform to fixed value, so it doesn't have to be set manually when using the shader for rendering. We require OpenGL 3.3 in the shader, so the attribute locations can be conveniently set directly in the shader source. With newer OpenGL versions we could also explicitly set uniform locations and texture layers itself, see Uniform locations and Specifying texture and image binding units. However, in this example we will keep compatibility with OpenGL 3.3. Now we will instantiate the plugin manager and try to load the TgaImporter plugin. If the plugin cannot be loaded, we exit immediately. You can read more about plugin directory locations and plugin loading in Loading and using plugins. Now we need to load the texture. Similarly to shader sources, the texture is also stored as resource in the executable. After the image is loaded, we create a texture from it. Note that we have to explicitly set all required texture parameters, otherwise the texture will be incomplete. The drawing function is again fairly simple. We clear the buffer, set base color to light red, set the texture and perform the drawing. Last thing is again buffer swap. Compilation is slightly more complicated compared to previous examples, because we need to compile our resources into the executable. The resources.conf file lists all resources which need to be compiled into the executable — that is our GLSL shader sources and the texture image. 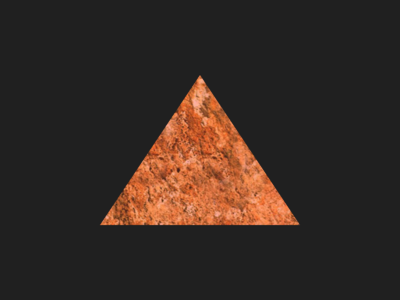 All resource groups need to have unique identifier by which they are accessed, we will use textured-triangle-data as above. As said above, the resource compilation process is explained thoroughly in Corrade's resource management tutorial. After that we compile the resources using the corrade_add_resource() macro and create an executable from the result and other source files. Last step is linking to all needed libraries. The plugin is loaded dynamically, so it's not handled by CMake at all. You can now try playing around with the shader source, modifying texture coordinates or adding other effects. The full file content is linked below. Full source code is also available in the magnum-examples GitHub repository. The ports branch contains additional patches for iOS, Android and Emscripten support that aren't present in master in order to keep the example code as simple as possible.